Over the last ten years the changes that new technologies have brought to our world have been overwhelming and every industry that we work in has been subjected to extraordinary digital disruption. 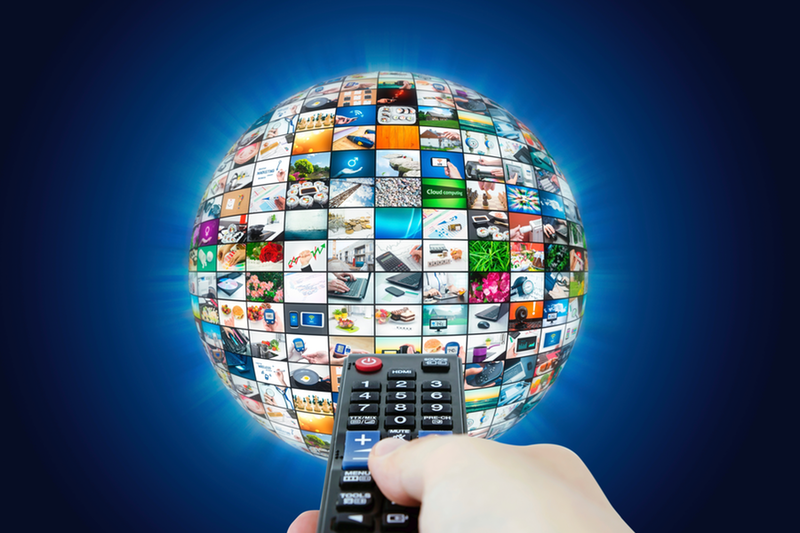 The television (TV) industry has been massively impacted by technological change. The number of people watching free-to-air TV in Australia has never been lower and viewership continues to fall brought about by competition from Pay TV services Foxtel (1995) and Fetch (2010), subscription video on demand (SVOD) streaming services Netflix (2015) and Stan (2015), along with internet platforms including Facebook (2004), YouTube (2005), Twitter (2006), Instagram (2010), Snapchat (2011) and Amazon Video (2017). Foxtel has 2.8 million subscribers, Netflix has more that 3 million Australian subscribers, Stan has over 900,000 subscribers and Fetch has been growing to now have 650,000 subscribers. YouTube is the most viewed site on the internet and the free YouTube Kids App is one of the most viewed children’s TV services in the world. iTunes, Google Play, Telstra Bigpond, Sony Play Station, Xbox and Microsoft are all offering downloaded or streamed TV content through their digital delivery platforms. Also with the launch of the new free-to-air multi-channels in 2009 – ABC KIDS, ABC ME, ABC2, 7Two, 7Mate, 7Flix, 9Go, 9Gem, One and 11 – and their increasing popularity, the number of people watching any particular channel has also been reduced. However the free-to-air channels now all have high quality catch up services – ABC iView, 7plus, 9Now and Ten Play – so destination viewing is no longer necessary to get access to programs which can now be watched 24/7. Viewing or streaming TV shows from TVs, PCs, smart-phones and tablets has never been easier or faster and yet even with all these new methods to reach an Australian audience it is still broadcast on free-to-air TV channels that is still the major driver of merchandising specifically related to children’s TV programs. So even though free-to-air TV is losing total audience share and has lower channel audiences, it still has the advantage of being free and accessible at any time to everyone. It remains that without a strong free-to-air broadcaster on board and having a good time slot it is nearly impossible to get a children’s TV show to generate sales of related merchandise. In pre-school, ABC KIDS still dominates the ratings however it is not enough just to be on ABC KIDS – for a show to drive merchandise it needs a good time slot with the best time slots being between 7:30am and 9:00am in the morning and between 4:30pm and 7:00pm in the afternoon. On the free-to-air commercial networks, with the demise of Saturday morning Disney on Channel 7 in 2016, after 26 years on air, the only channel that can actually drive merchandise sales from children’s TV shows is Go! Go! broadcasts children’s TV programs from Warner Bros. and also specifically looks out for shows that will be successful off-screen through sales of toys and merchandise. The other commercial channels broadcasting childrens shows – 7Two, 7Flix and 11 – all have such small viewing audiences that the impact of merchandise sales is marginal. The Pay TV children’s channels continue to struggle for meaningful audience size and with the exception of family movies on the Disney channel, it is the case that unless children’s shows have a free-to-air broadcaster as well, a Pay TV only window is not enough to drive sales of product at retail. For the foreseeable future, free-to-air broadcast will continue to be the dominant medium to achieve merchandise success for children’s TV programs however where possible this can be amplified with a Pay TV broadcaster, being available on one or both SVOD services Netflix and Stan, having content viewable on YouTube and Amazon, downloadable across any number of internet platforms including Facebook and available as apps on iTunes and Google Play. The children’s pay TV channels will come under increasing ratings pressure from the much cheaper SVOD services and they will struggle to keep market share, so their partnerships with the free to air broadcasters will continue to be increasingly important for them to reach mass audiences. Everyone is writing off the future of free-to-air to air TV except it is still the best place to be if you want to have a successful merchandising program coming from a children’s TV series and also the best place to advertise to sell that merchandise.